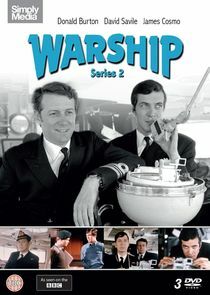 Warship is a popular British television drama series produced by the BBC between 1973 and 1977. It was also dubbed into Dutch and broadcast in the Netherlands as Alle hens. Four series were produced, with 45 episodes made in total. The series dealt with life on board a Royal Navy warship, the fictional HMS Hero. The episodes were written and filmed to reflect the reality of life in the Royal Navy and the Royal Marines in the 1970s. The primary focus for most stories was on the Captain and his fellow officers, but the series also featured life on the lower decks to portray episodes heavily featuring ratings. Episodes featured a variety of events at sea (the Cold War, smuggling, the evacuation of civilians from crisis-hit places, etc. ), as well as the personal lives of officers and ratings and the impact their personal lives had on their professional lives and duties.